Choosing the right shade of paint can be daunting for the homeowner. 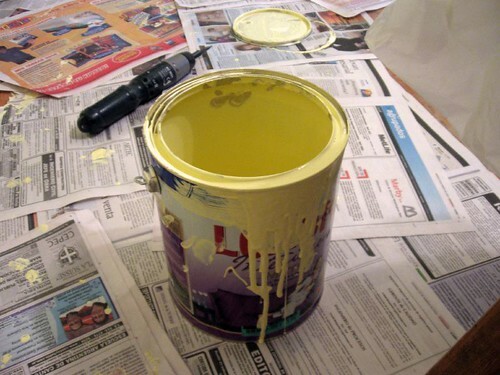 When it comes to paint colors, every primary color has multiple variations. You cannot just decide that you want green walls without looking at the many shades of green that are available. However, there are ways you can make your choice less intimidating so you'll be completely satisfied with your wall color. Lighting is one of several factors to be considered when painting walls green. If you want a room to be darker, choose a darker shade of green. The opposite applies if you want the room to be lighter. Darker rooms are generally more formal. Paint color has a psychological effect on mood. For a relaxing atmosphere, earth-tone greens will work. Bright greens are busy and energetic, and are often found in children's rooms and kitchens. Room size is an important factor in the choice of green shades of paint. Dark colors will make a small room appear even smaller. This does not mean an earthy color cannot be used. There are several earth-tone shades of green that are not extremely dark. You can enjoy a relaxing atmosphere without shrinking your room. Furnishings should be considered when choosing a shade of green paint. Go to the local home remodeling center and pick up several green paint samples. These samples are printed on card stock, and they are free. You can hold each sample next to your furniture to see if you like the shade and if it will complement your furniture. There is another way to choose a shade of green paint, and that is to use a virtual paint CD. These CDs are inexpensive and can be purchased at most home remodeling centers. Take photos of the room and upload them to your computer. Download the virtual paint CD and have fun. This CD allows you to see what the room will look like painted different shades of green--without actually painting it. You have the ability to change your green wall paint to any shade that you choose. As soon as you are satisfied, you can purchase your paint.